On 20th November 2018, Yamaha Motor Co. Ltd., Japan announced its proactive recall plan for the Yamaha YZF-R25 due to the radiator hose and the torsion spring. This recall plan is to ensure all YZF-R25 customers continue to enjoy the product to its fullest intended purpose. We are ever thankful for your continuous patience as we gather more information in order for us to serve you better. 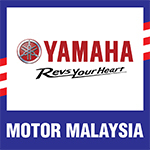 Be assured that preparations for customer care actions are well underway and an official announcement will be published shortly via this website as well as our Yamaha Authorized Dealer network.